I wasn’t planning on getting any Scented Candles, but then I sniffed Paris Cafe and that was over. These retail for KD 8/000 each, but due to the Buy One Get One Free promo, I only ended up paying for one. Paris Cafe was an extremely heady scent of Coffee! It was an honest-to-goodness Coffee, the kind with nothing remotely sweet mixed in. 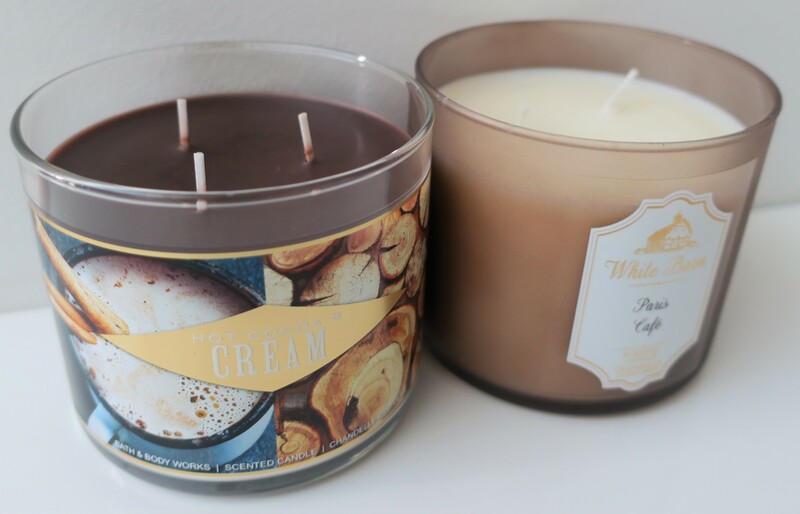 The last time I owned a true coffee-scented candle was from the Italian Piazza Collection (here), years and years ago, so I can’t say I’ve never smelled anything like it before, but it has been a minute, and I was super happy to stumble upon Paris Cafe! It’s very unique to my current collection of Scented Candles and I don’t believe I have anything slightly similar! All that aside, it just smells intoxicating! 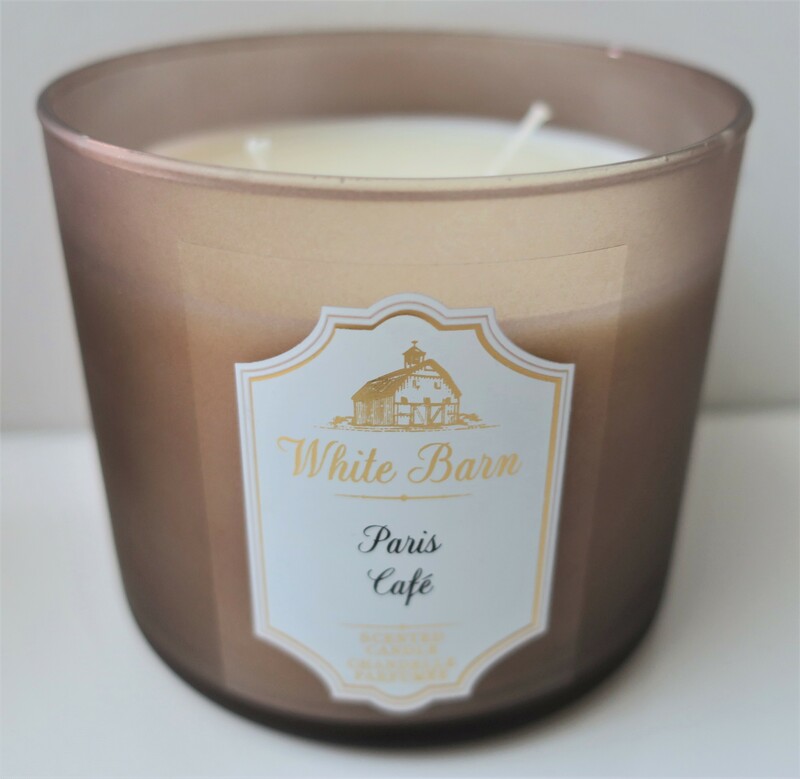 It’s a bit much during warmer weather, but I can’t wait to start burning Paris Cafe Scented Candle once the temperature drops! Side Note – The cold throw on this is so next level that it smells crazy intense while the lid is still on! 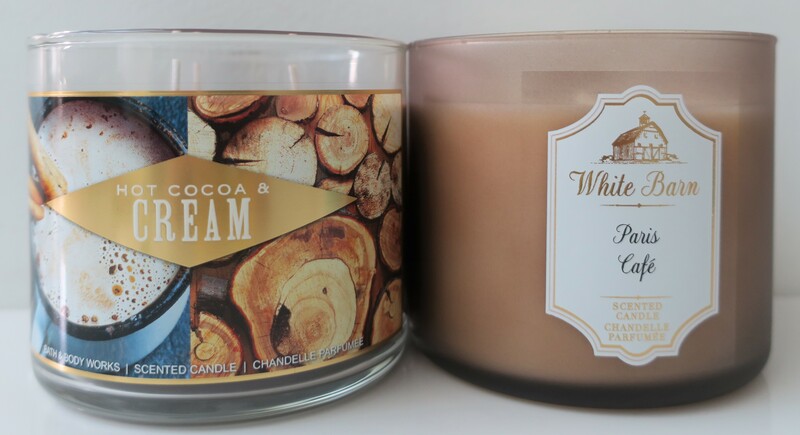 I wasn’t in the market for another Scented Candle, but since I was getting one for free anyway, I decided to go with something in the “same vein” (gourmands?). This one smelled like real Dark Chocolate (the bitter kind). I wasn’t obsessed with it, but once the weather cools, I really start diggin’ scents like these (so… basically just like everyone else lol). These retail for KD 3/750 each, but they had a Buy 2 Get 3 Free deal on Hand Soaps and I didn’t really need any more, but I kinda’ wanted to pick up something (anything lol) from the Pumpkin Collection. I ended up getting 2 Pumpkin Hand Soaps and the rest were all free (I mathed)! That said, I sorta’ grabbed whatever from the Pumpkin Collection, because the sales assistant was shadowing me (she was trying to be helpful, but it was having the opposite effect and I didn’t know how to get rid of her… politely). Then, another sales assistant literally reached into one of the drawers in-store and grabbed a damaged Hand Soap and tried to pawn it off on me! I’m always either short on time or the stores are always about to close down for the night, so I usually don’t have the time to fully inspect each and every single item I purchase. As such, I’m going on good faith. Thankfully, hot man-bun (manning the cash register) pointed out the damaged Hand Soap and urged me to switch it out for something else. As you can clearly see, both of these were from the Pumpkin Collection (here). Like I said earlier, I just grabbed whatever (going off of the names and notes on the side) and moved on to the next display, because I didn’t wanna’ deal with the sales assistant. Unfortunately, Pumpkin Cupcake turned out to be a horrible vanilla (not unlike Boardwalk Vanilla Cone). 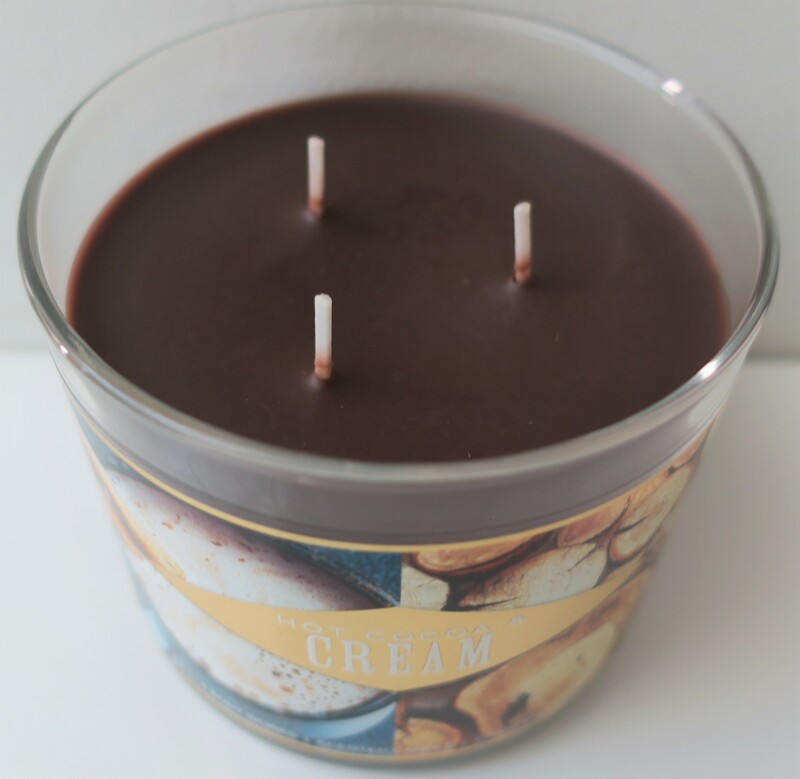 If you read my blog, you know how much I love all things vanilla-scented, but unfortunately there is such a thing as a “bad vanilla scent” and Pumpkin Cupcake is one of them. I hate it! That said, I’m currently in the process of using up Pumpkin Cupcake (logic!) meaning I haven’t gotten around to using Caramel Pumpkin Swirl so I can’t tell you what that one actually smells like, just yet. 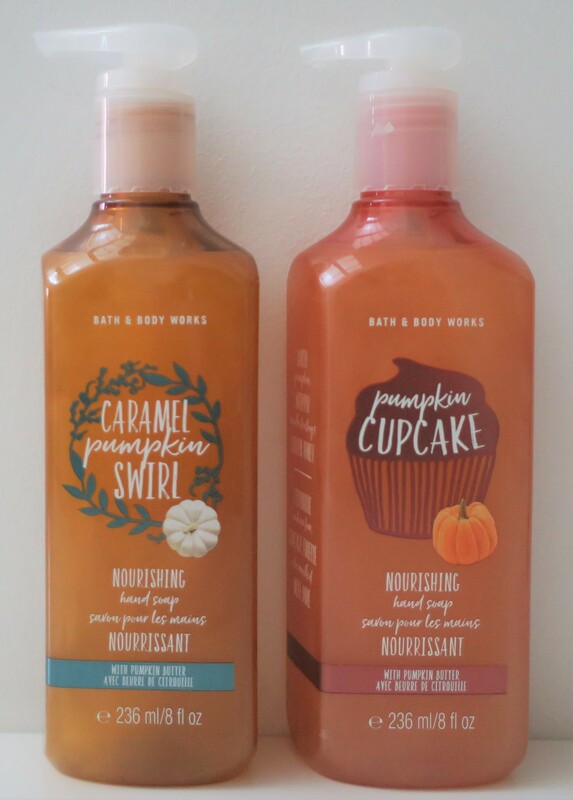 Once I’m done with Pumpkin Cupcake, I’ll move on to Caramel Pumpkin Swirl (unlike shower gels and scrubs and everything else really, I don’t like having too many Hand Soaps all open at once). I’m pretty sure I bought several PocketBacs in the scent Ocean for my brothers at one point, but I guess I never hauled them. 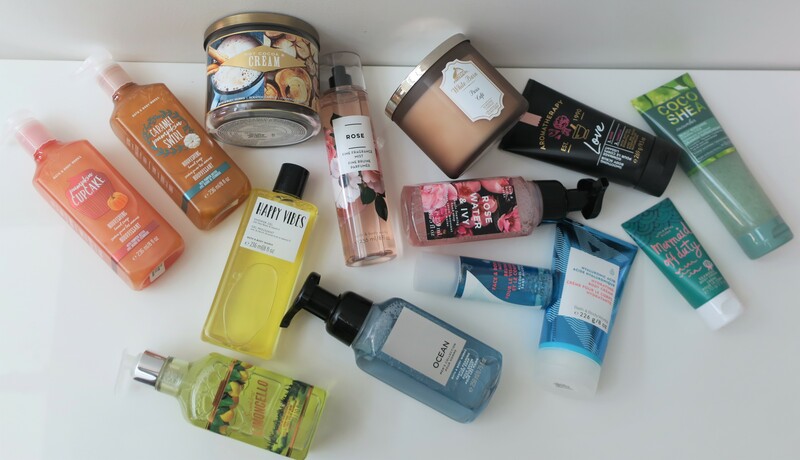 I wanna’ say I bought the other stuff for my ex too, but I can’t find anything on my blog about that either. 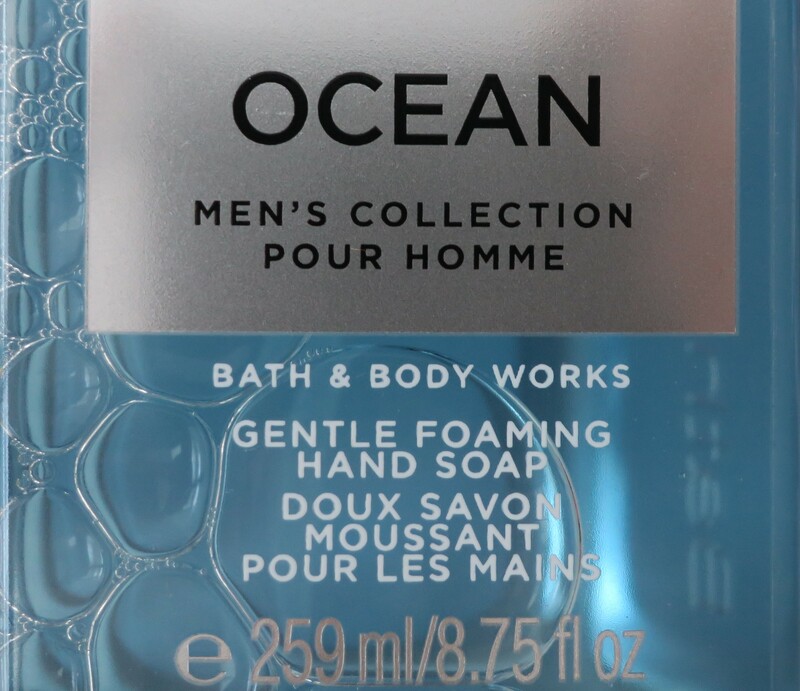 In any case, my older brother took Ocean Hand Soap off my hands and it now resides with him. 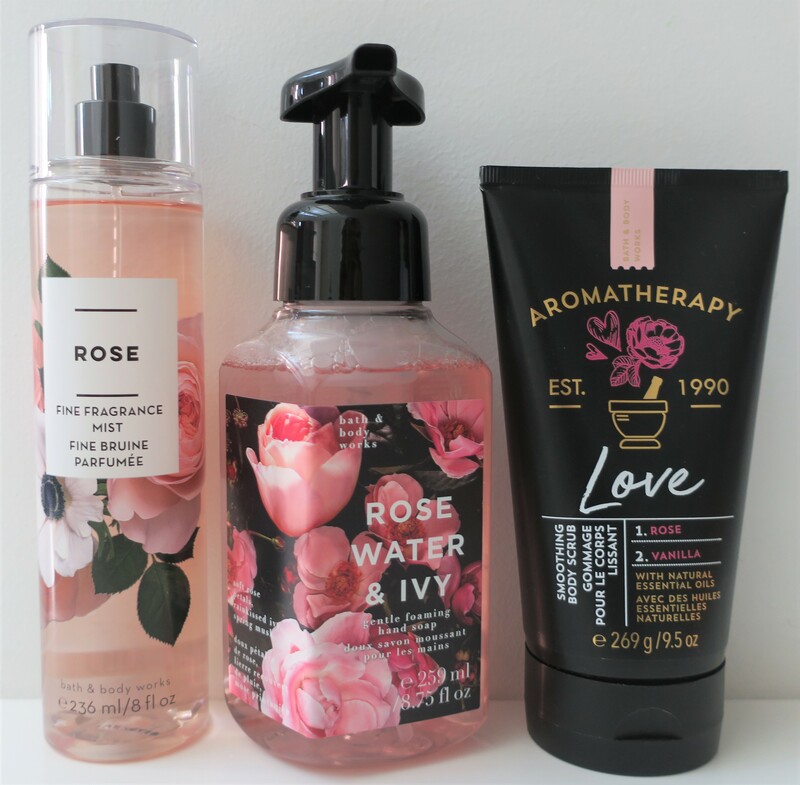 I thought Rose Water & Ivy sounded absolutely lovely! It just had a nice ring to it. I would’ve preferred to have taken my time sniffing it and slowly coming to a decision on my own, but as I said earlier, I had an over-zealous sales assistant breathing down my neck. I started using this thing as soon as I got home. It smelled vile! After some time, I narrowed down the scent. Rose Water & Ivy Hand Soap smelled like beer, Heineken Beer, to be more precise! Thankfully, I’ve finished it all up and no longer have to deal with it ever again. In addition to smelling rank, the Gentle Foaming Hand Soaps always leave some sort of “hydrating” residue on my hands, which I find incredibly annoying (I prefer being squeaky clean). 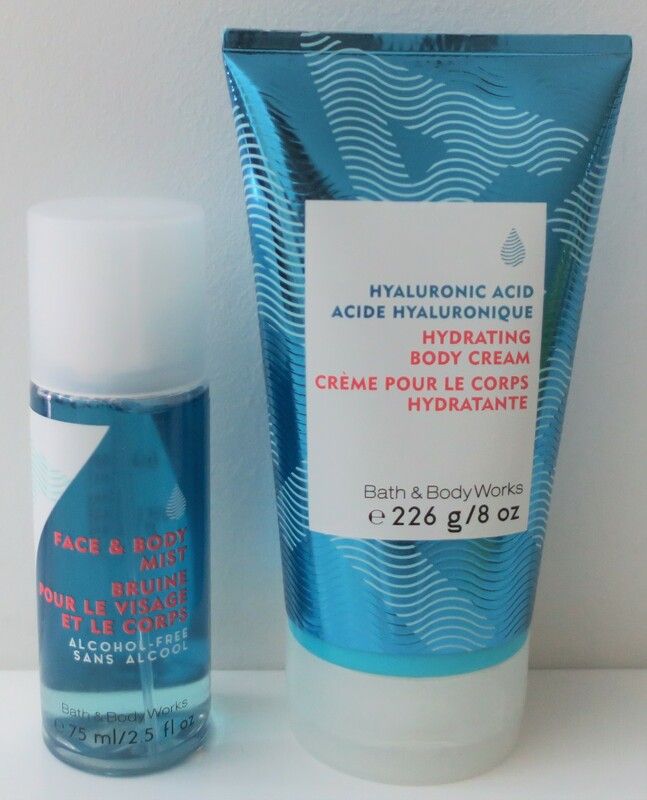 *Please disregard the Water Hyaluronic Acid Hydrating Body Cream (blue packaging) because I purchased it earlier (here) and mistakenly lumped it in with this haul, for some reason. There was a Buy 2 Get 2 Free deal on these as well. 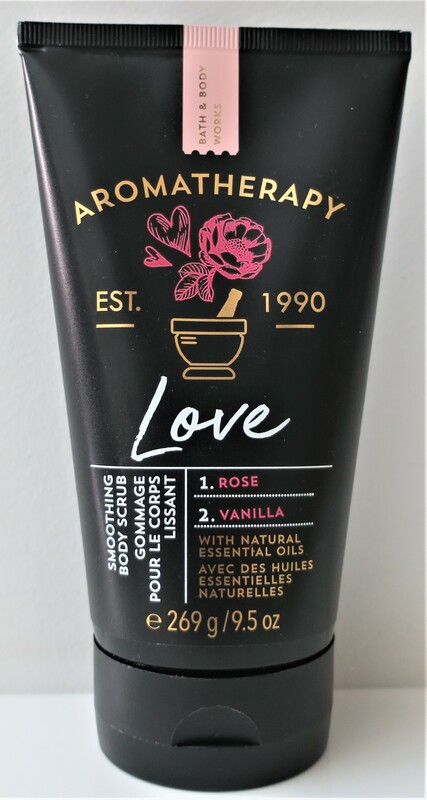 I was instantly smitten with the Rose Fine Fragrance Mist from the start and picked up Love Smoothing Body Scrub from the Aromatherapy Line (cute display), but that was pretty much it. I wasn’t interested in anything else. 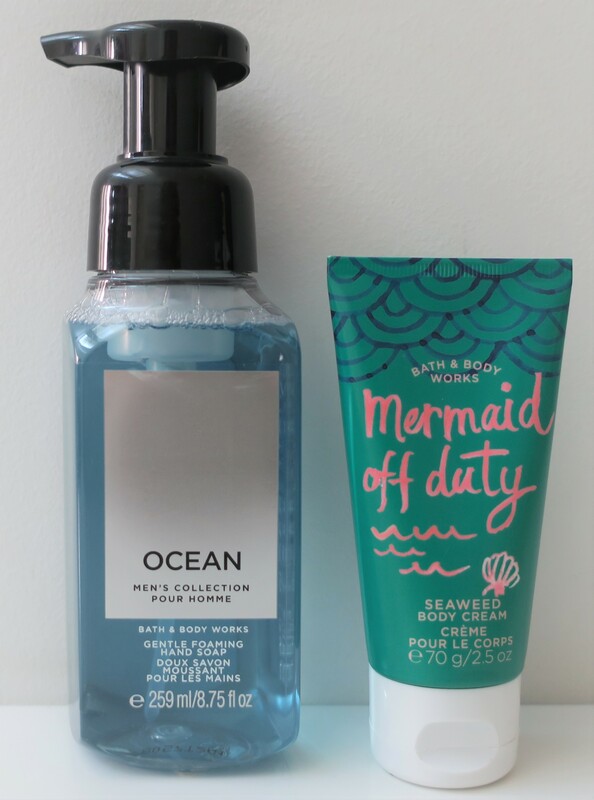 I would’ve gone for something from either the Water Collection or Sea-Tox Collection (here), but of course they were excluded from the promo (why? why? WHY?). 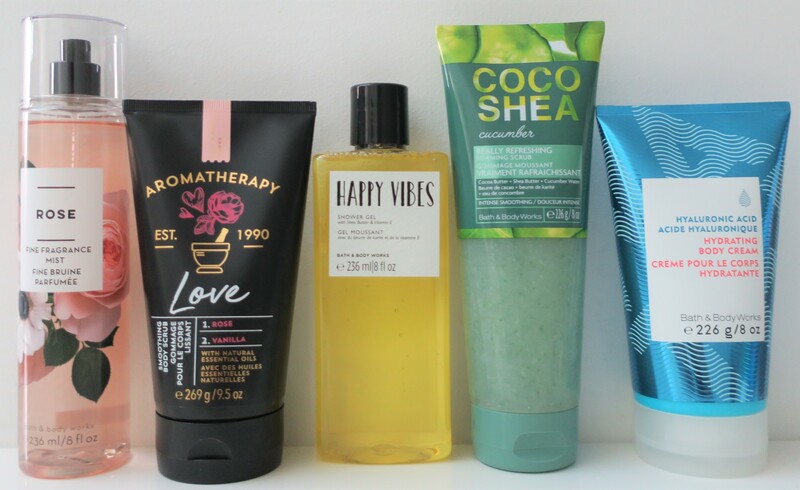 Eventually, I grabbed yet another CocoaShea Cucumber Body Scrub (I like what I like, ok?) 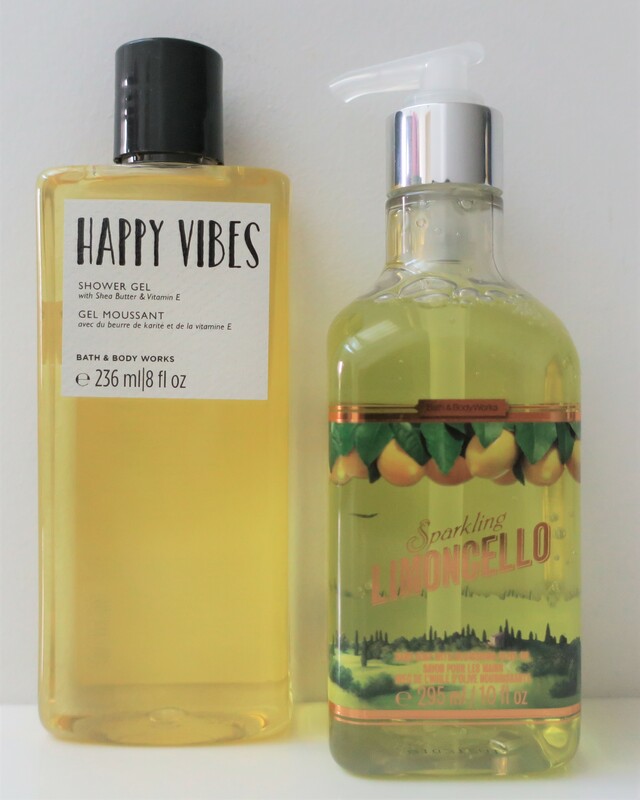 and a Happy Vibes Shower Gel (the name made me smile meaning it worked! Happy Vibes indeed)! I had to pay for the 2 higher priced items Rose Fragrance Mist and CocoaShea Cucumber Scrub and ended up getting the other 2 for free. I fell in love with this thing right from the get-go! As soon as I spotted the “Rose” display (here), I walked up to it and gave this thing a sniff (wasn’t expecting much, really) and was absolutely smitten! It was that delightfully powder-y clean scent that I’ve come to associate with roses and was so very, very fond of! I’m not a huge fan of the Bath & Body Works Fine Fragrance Mists (for various reasons), but I had to get the one in Rose! I’ve been showing it a lot of love ever since! Plus, it layers beautifully with some of my other scents! I’ve only used this baby once. The scent wasn’t as sweet as I’d expected it to be. In fact, I wouldn’t even call it sweet. My nose detected the Rose and the Vanilla, but it also detected something else, something slightly… savory. If I could compare it to anything, it would have to be Lush Aqua Mirabilis Body Butter (here). They strongly remind me of each other, scent-wise. Heck, maybe even performance-wise. I didn’t know what else to pick and although I think most slogans and catch-phrases are in fact quite cliche, out of all of them, “Happy Vibes” resonates with me the most! To top it all off, it had a somewhat unisex (if not masculine) scent and I’m all about that life! My tried and true favorite, originally purchased about a year ago (here) and again more recently (here) and now in this haul. Like I said, I like what I like, ok? Also, this should prove to you that when I say, “I love xyz”, I’m not just saying that for the sake of saying it. I mean it. 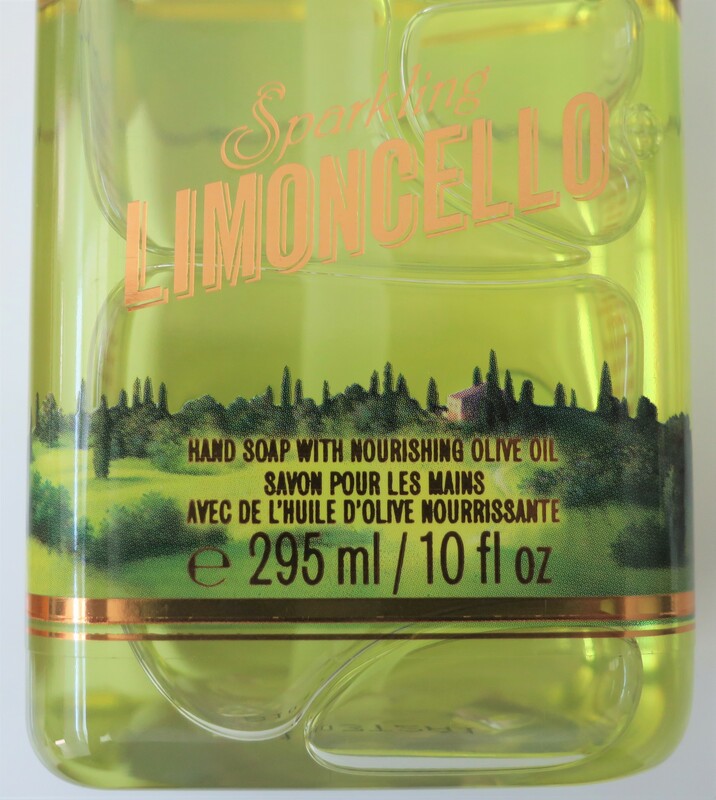 I’ve also purchased this lil cutie earlier (here), but my guy-cousin took it off my hands (I told you it had a masculine scent) and I wanted to get another one of my own, because other than being cute, it was just so handy (for moisturizing on-the-go)! I kinda’ wanted the Water Face & Body Mist but refrained from purchasing it because I got the Sea-Tox Face & Body Mist (here) instead. However, once I spotted it in the adorable mini size, I couldn’t resist getting it! So I got all 13 items for a total of KD 33… and that’s including all the deals and whatnot. Dang, I got suckered in… again lol Now tell me that’s not overpriced? Especially considering the Pumpkin Cupcake Hand Soap and Rose Water & Ivy Hand Soap were vile! Still, I’m loving the Rose Fine Fragrance Mist and the Paris Cafe Candle! Also, the lil Sea-Tox Seaweed Body Cream has saved me from dry skin on multiple occasions already!